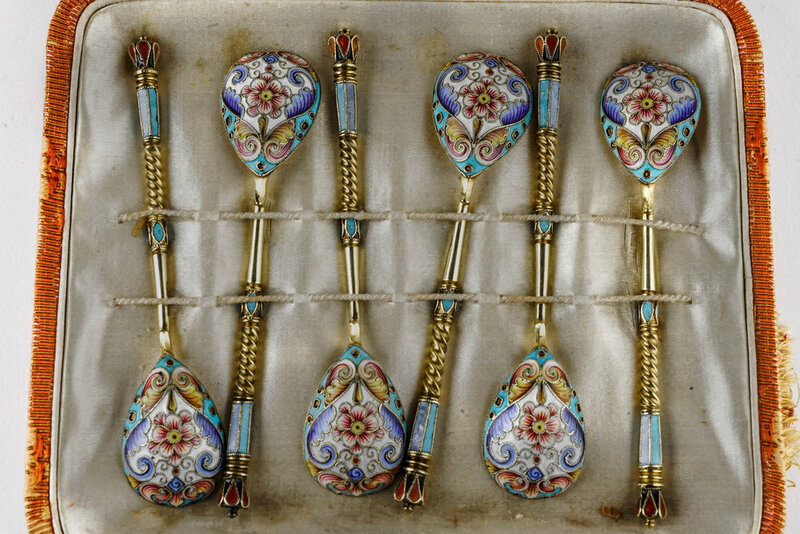 A set of 6 antique Russian silver 84 cloisonne shaded enamel spoons in box by Feodor Ruckert. 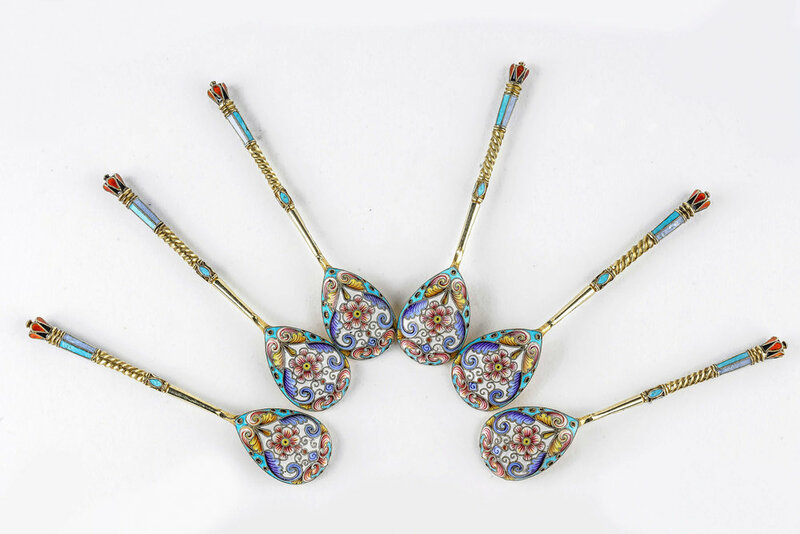 A beautiful set of 6 antique Russian silver 84 cloisonne shaded enamel spoons by Feodor Ruckert in an original box. 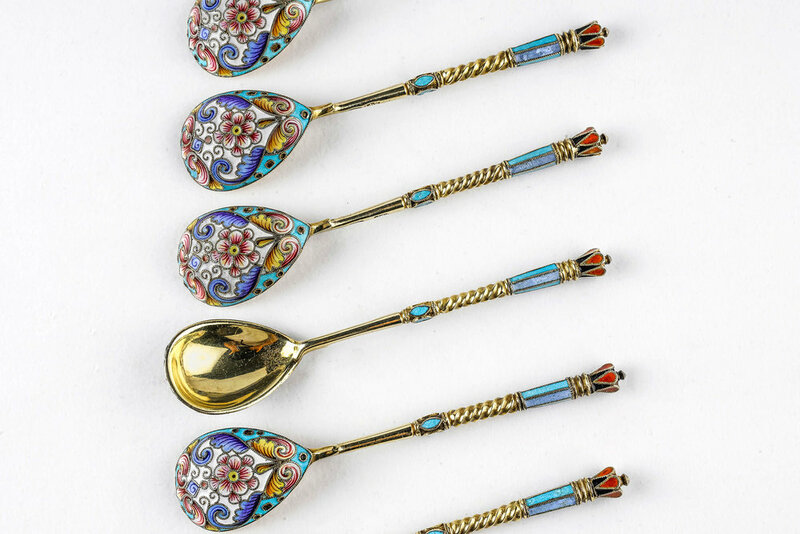 Length of each spoon is 4.25 inches. 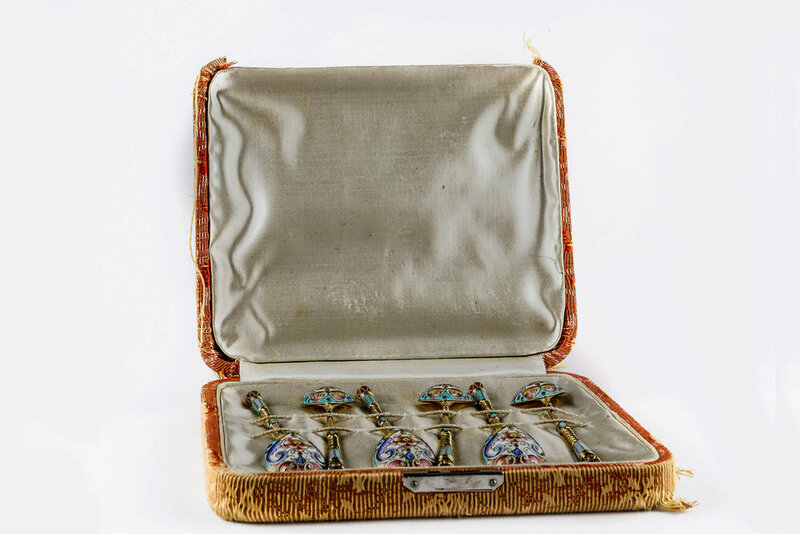 Weight of all 6 spoons is 110 grams.